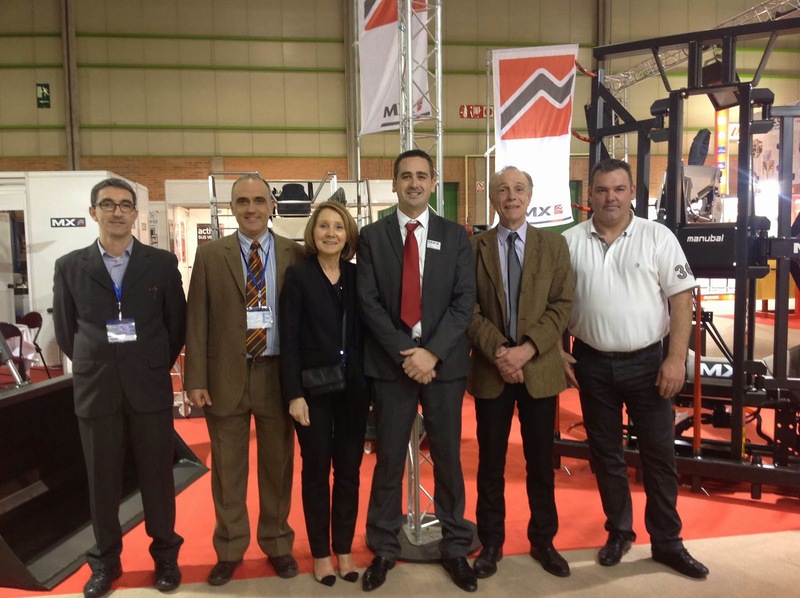 Finally, the last post about our FIMA series, and we have left for the end, two French companies: MX and Erme. MX has supported our blog since the first moment and we can rely on them. 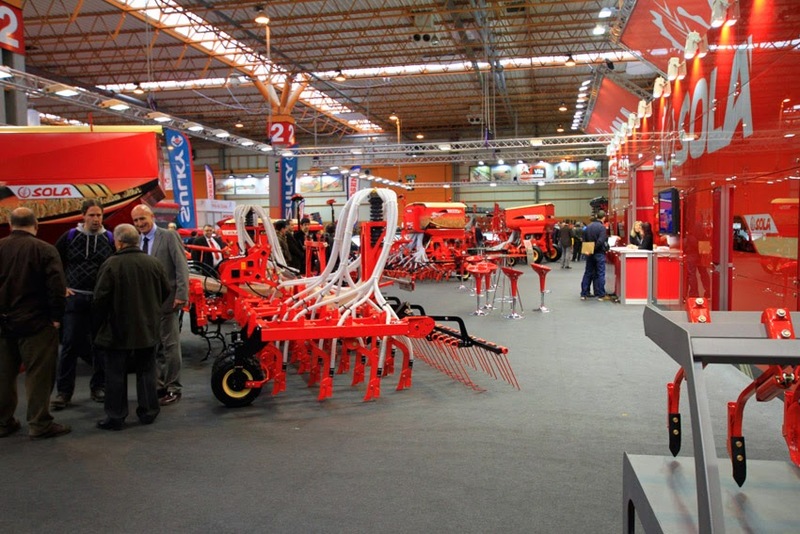 Regarding Erme, this is a company we met with our book, and at this time in FIMA they were absolutely interested in cooperating with us, with their products and their support, therefore, you will find future posts talking about its fantastic garlic machinery... Thanks to both companies for your attention, you were very pleasant with us. 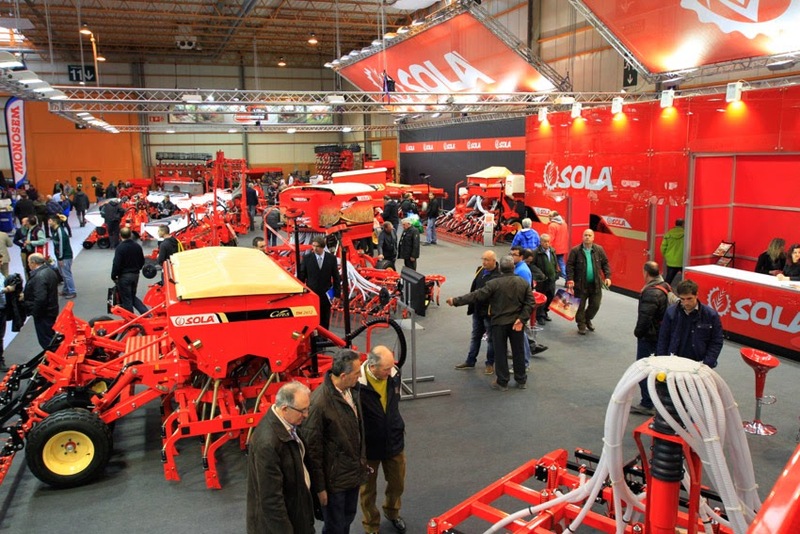 In relation to their FIMA stands, we have to mention that MX, a company of loaders, had an interesting place. 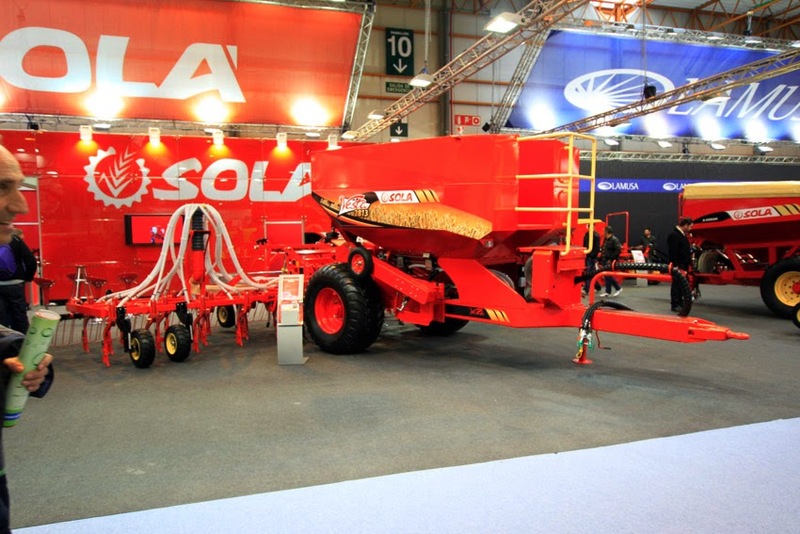 They had a loader simulator(which had been shown in the last edition of Agritechnica, where we could enjoy it) with their best loader model the T410. With this simulator we could test all the loader movements, together with the Joysticks the farmer can configure in their tractor... It was an extraordinary integration of the loader functions, as well as its third function of disengaging in an automatic way. According to the Erme, their stand was really slight... It was a pity because their products worth it, they only had one part of their neumatic sowing... They sent us some photos about their machinery to allow us to know them. There, we could have a good conversation with Patricia, the Exports Department Manager, she told us that they have returned to Spain with lots of expectation... It will be grateful to see farmers with their fabulous machines, the majority of the first machines used to sowing garlic was theirs. In the end, we would like to mention a small company, also a French company, called SISP-Gearboxes, they sell transmissions, hitchs, chains, ... they are robust components of good quality upon first sight. Besides, they showed so much interest in our blog, we appreciate that from here, since some Spanish companies are not interested at all in our blog given that the position of their brands on the Internet is not important for them. We continue with our monographics about FIMA. In this occasion, the post is dedicated to Solá Group. 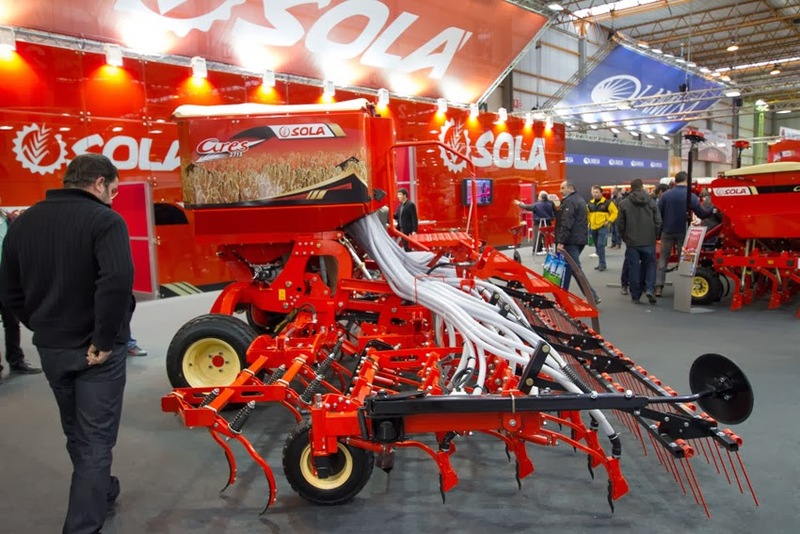 As we told in other previous posts about cereal sowing tasks, this year we began to work with our Solá Neumasem 799 pneumatic seed drill which was bought of second hand. Once we finished sowing, the assessment of this seed drill is outstanding, but we had some small problems, which is normal when you work with machinery of second hand. However, the technical service of factory (from Calaf) could solve the problems without complications and without any timetable restrictions... for that reason, we would like to thank them and talk about their products a little more. 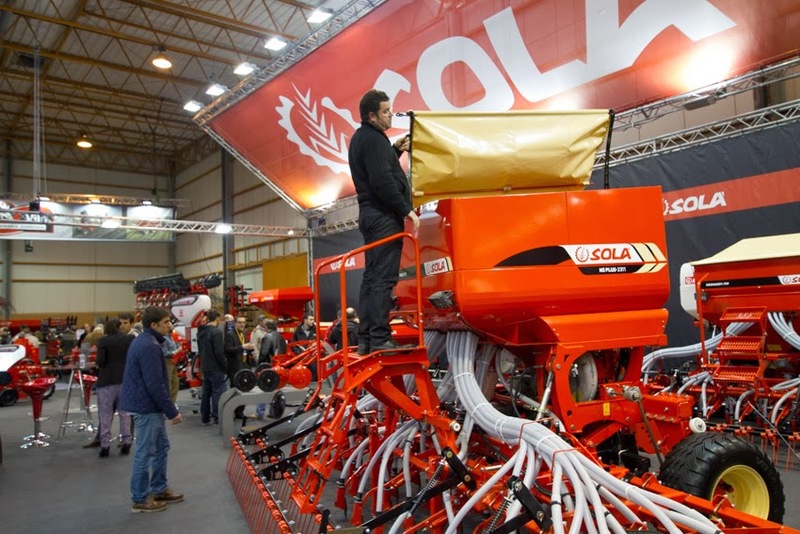 The Solá Group, with its two brands called Lamusa and Solá, is one of the most important manufacturing of seed drills in Spain. 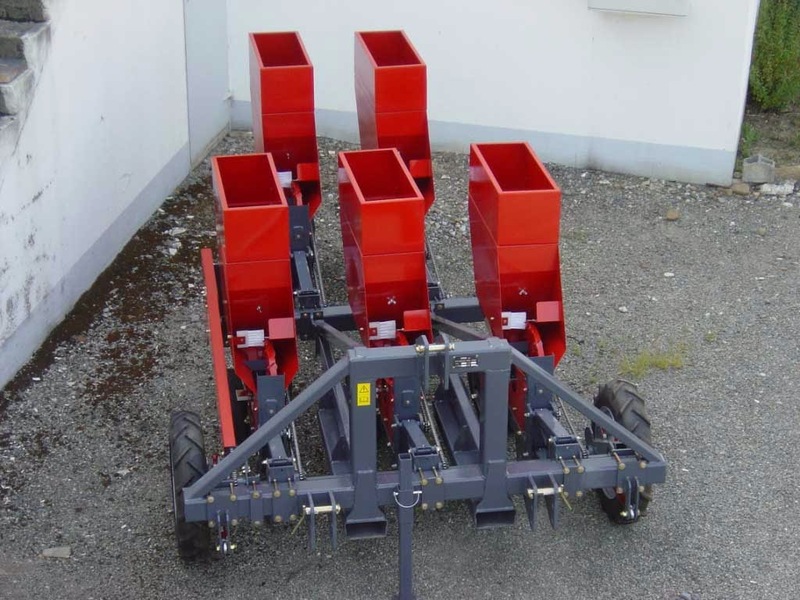 They have manufactured seed drills from more than 50 years so we consider their products are the best option for farmers who would like to buy a new seed drill or a new precision planters. We think sturdiness is the best word to define these seed drills. The company is well-known internationally so more half its production is exported to other countries. 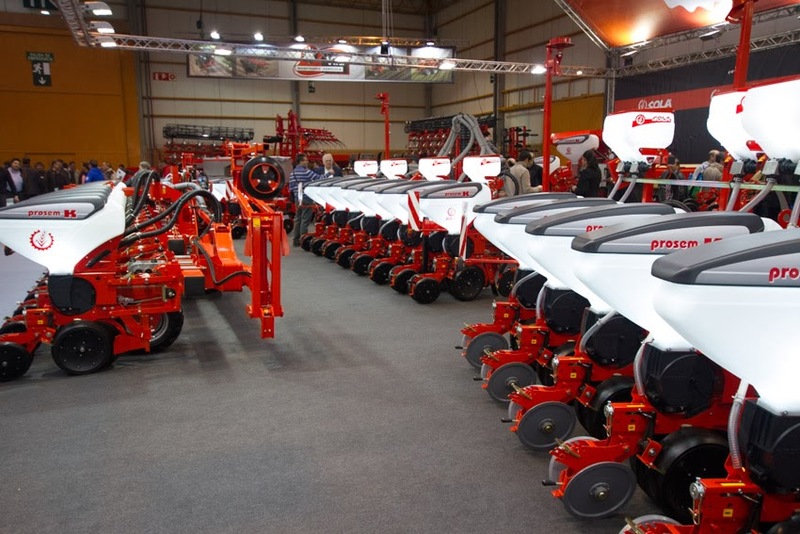 Regarding their stand in FIMA, we think the most interesting of it was that they had a large stand so it offered us an opportunity to see a lot of their products... they even had a simulator to see working their fantastic PROSEM precision planters. 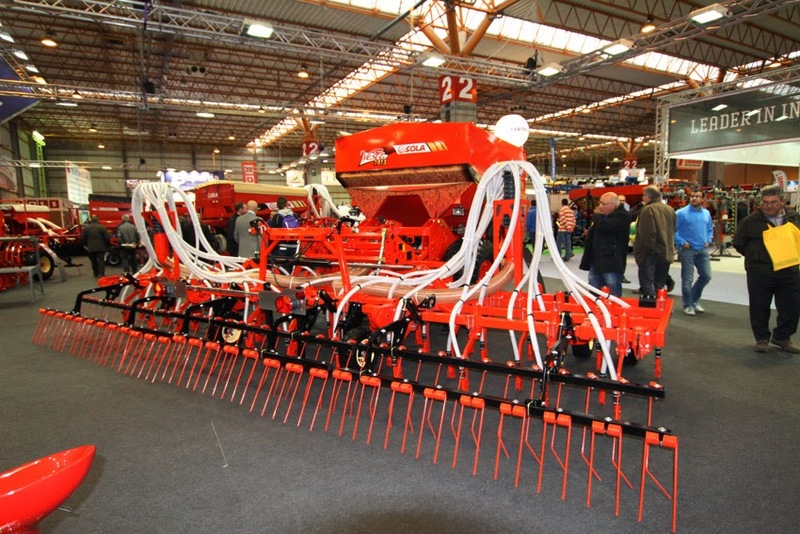 Also, we liked so much their models of different tines and discs which can be used in their seed drill. Congratulations and thank you very much for your treatment!